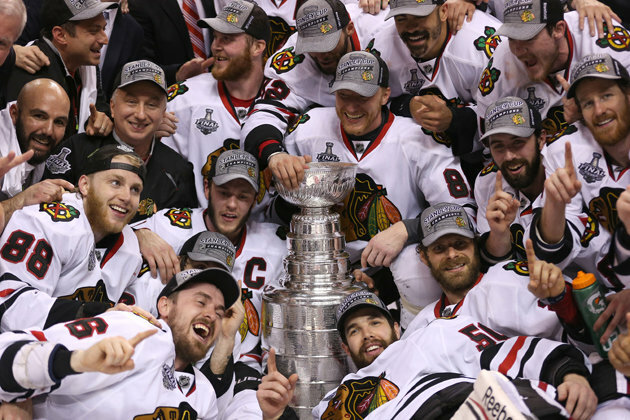 This entry was posted in Uncategorized and tagged Blackhawks, Chicago Blackhawks, Chicago Blackhawks 2013 Stanley Cup champions, Chicago sports, Jonathan Towes, Stanley Cup, Stanley Cup 2013. Bookmark the permalink. Great summary Ed. At times, the announcers did seem to beat up on the Hawks mistakes and shortcomings. They had their job to do to report as they saw it. The Hawks certainly took that criticism and stayed focused on their goal. Its great that they accomplished their goal. Perseverance is a virtue and character that makes all the difference. Hi Ed: Thanks for your comment. Kind of glad the season is over since it ran so far into June. But think the Hawks will be a power next season, too. Towes is a true captain. Hope all is well with you. That’s tremendous news. Wow, how time flies. Glad to know your family is doing well.